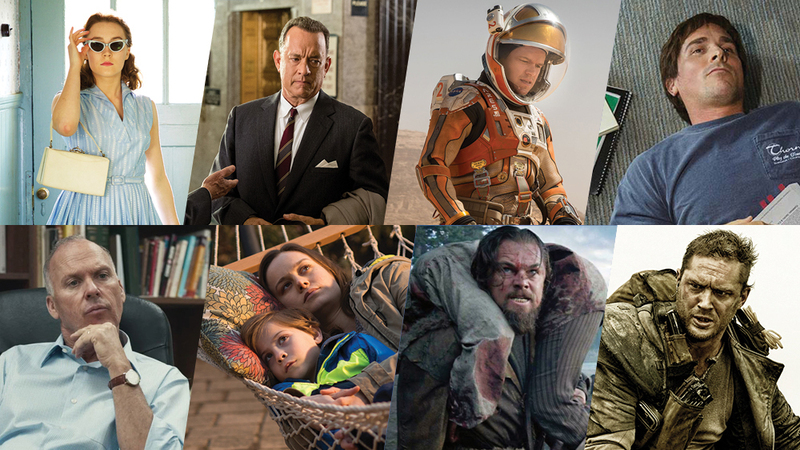 To unfurl my best impression of a sports commentator, Lion is, broadly speaking, a film of two halves. But unlike the insinuation invoked by said metaphor, these are two halves of consistent quality. There is no playing badly and then coming on to a game, or any downward spiral in fortune as the final minutes approach: It’s good and bad, and then it’s good and bad. Rather, the deviating halves come via a drastic change of scenery, of personnel and, in some ways, of mood. The first introduces us to young Saroo (Sunny Pawar) and his brother Guddu (Abhishek Bharate), their days spent scavenging adroitly in an effort to return home with milk and, presumably, other rations. They live in small, poor Indian village with their mother and sister, the former feeding her family by carrying rocks. This might paint a picture of struggle, and there is struggle, but for around 20 minutes the screen is awash with sibling camaraderie, Saroo’s adorable willingness to put a shift in for the cause only matched in merit by Guddu’s unassailable duty of care. Plucked from obscurity — in Pawar’s case, an audition at school — the pair of young actors beam with authenticity in both their relationship on-screen and their presence in a sustenance-centric world. Like Room’s Jacob Tremblay, Sunny Pawar defies his inexperience and excels, possibly because said inexperience hasn’t yet afforded him the capacity to knowingly perform, and thus perform poorly. Instead we see the real kid, a bundle of energy and charisma, arms pumping like Usain Bolt on an Olympic track whenever he sprints to the next scavenging destination. This sweetness sours when Guddu fails to return from a work shift, leaving Saroo stranded on a train bound for some faraway metropolis. 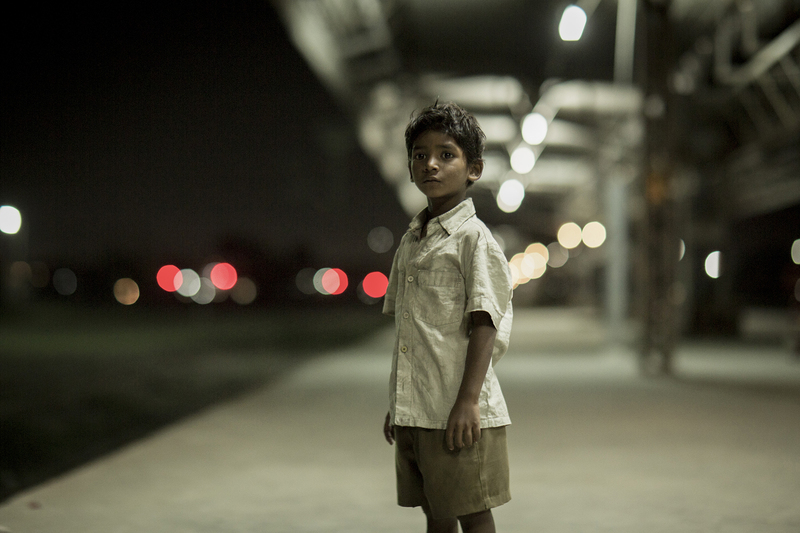 Garth Davis’ film loses a bit of momentum as Saroo stumbles from locale to locale — the narrative gets stuck on a repetitive loop, compounding Saroo’s lost predicament beyond necessity. There is refuge in a tunnel with other lost children, a sleepover with a seemingly conscientious woman, and more, each encounter conveying the same message of volatility. You actually get enough of a sense of just how much trouble Saroo is in via Greig Fraser’s cinematography, which captures the vastness of an unknown landscape: car lights, train lights, street lights enmeshed in tightly packed, busy urban spheres and swamped externally by a sea of barren nature. The film refocuses upon reaching Australia, Saroo’s new home, the youngster having been adopted by locals Sue and John Brierley (Nicole Kidman and David Wenham). 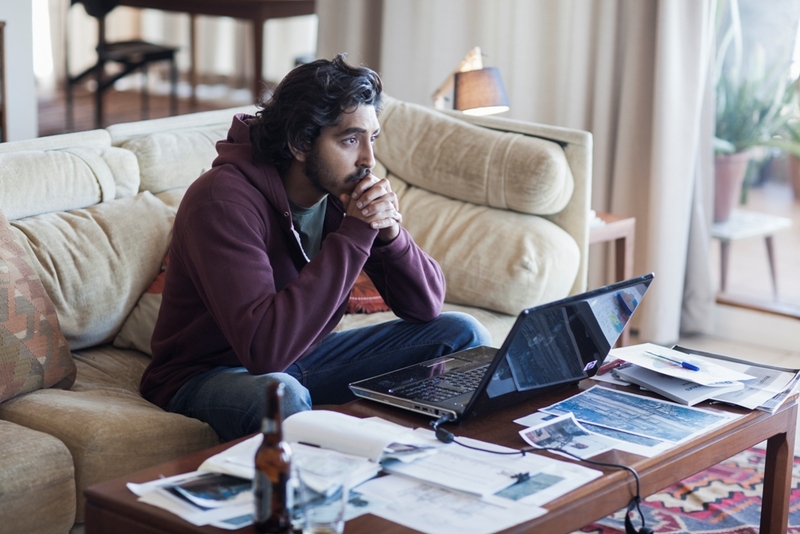 We only spend a moment more in little Pawar’s company before Dev Patel takes over, playing an older Saroo on the cusp of hotel management study. This is also the point at which we meet Lucy (Rooney Mara), a fellow student and Saroo’s impending girlfriend. The actors have a chemistry that helps them work around their rapid-fire romance, and Mara in particular does well with insufficient screen time. She projects tender authority, determined to support Saroo but not defined by his quest to locate his family via Google Earth. The Australia half, though for the most part engaging, stumbles with well-meaning intent. It tries to pitch itself as a multicultural reprieve, but somewhat loses sight of that in its postcolonial attempt to redress the prevailing Hollywood imbalance. Rather than spending time with birth mother Kamla (Priyanka Bose), Luke Davies’ screenplay privileges Sue’s emotional journey. She has a hard time dealing with Mantosh (Divian Ladwa), whom she and John adopted shortly after Saroo and who has failed to adapt to life following a turbulent childhood. Her appearances are bitty, not all-encompassing, but the notion that the Australian mother should command most of our sympathy doesn’t sit right with the film’s otherwise progressive platform. Indeed, the issue is captured in a scene where an emotionally wrought Sue laments the state of her family, speaking about a vision she had in her younger years that convinced her to adopt. After its opening act the piece affords Kamla little screen time, and us little time to develop sufficient compassion for her following Saroo’s disappearance. This also speaks to a larger issue about the level of attention minority actors are afforded in Western cinema, and the consequences a lack of satisfactory attention can incur: Kidman has been nominated for an Oscar, whereas the likely equally talented Bose has not. I should note though that, to both Davis and Davies’ credit, life in Australia is far from glorified. Family tensions are at the fore, tensions in part generated by Saroo’s unwillingness to confide in Sue and John about his mission to find his birth mother. Patel particularly excels during these sequences of inner turmoil and we feel the weight of his character’s struggle. Matching the fervour of a late winning goal (this sports metaphor should never have made it past the opening line; I can only apologise) Lion evokes a plume of bittersweet emotion as it reaches its conclusion. The moment makes the journey worthwhile, even if we, like Saroo, have had to navigate rugged terrain in order to get there. Kids are taking over the world. Well, the worlds of pop culture and weighty entertainment. If it’s not a bunch of Spielbergian curiousos charming viewers eight times over in Stranger Things, it’s Jacob Tremblay comfortably matching his demonstrably more experienced counterparts with a powerhouse performance in Room. 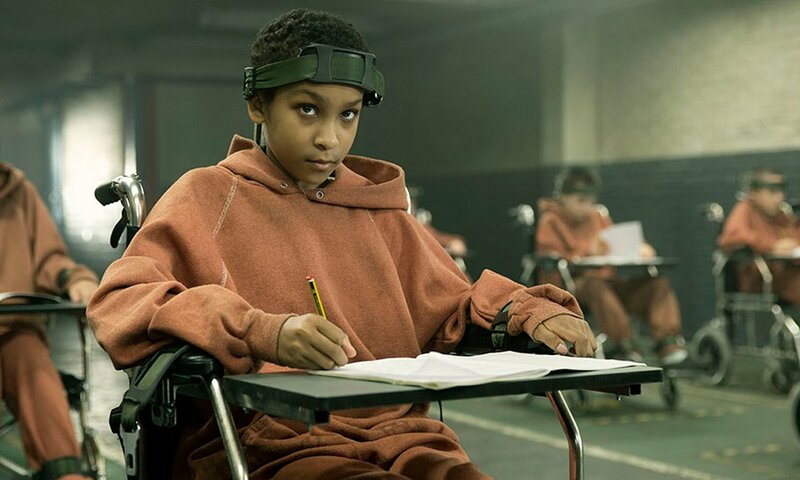 Today Sennia Nanua joins the not-so-Mickey-Mouse-Club, her turn as a next generation zombie-human in The Girl with All the Gifts at once endearing and domineering. And even a little amusing. That’s quite the trifecta. Colm McCarthy brings M.R. Carey’s (credited as Mike Carey) mid-apocalyptic world to the silver screen, a world severely stunted by some sort of biological doomsday. Carey’s novel of the same name garnered much praise, which, when coupled alongside his extensive comic book writing portfolio, suggests he is doing something right. The penman may yet want to consider a screenwriting career if this is his default standard. He presents Melanie (Sennia Nanua), a child with fleshy cravings and the ability to interact as normal. When we first meet her she is hidden away in some sort of military base with many of her kind — her ‘classmates’ — and a selection of adult soldiers, scientists, and teachers. It’s not initially clear what the purpose of the locale is: a zone of Freudian experimentation usurping social and ethical norms, or a shelter from the horrors outside? We quickly learn it is a bit of both, though the striking image of children wearing orange jumpsuits and strapped to wheelchairs feeds the former narrative (these sequences are probably not unintentionally dissimilar in a visual sense to familiar scenes in A Clockwork Orange). That it soon becomes clear said treatment is decidedly less harsh than what is going on elsewhere ought to give you an indication of the type of material we are dealing with. I hesitate to reveal more of the initial plot; not because doing so would spoil the film but because piecing together the early moral dilemmas as they play out on-screen is both a challenging and rewarding experience. Needless to say the setting soon changes and The Girl with All the Gifts transforms into a Monsters-esque road trip. But back to Melanie, the film’s central presence. She is essentially a blank slate, or a dry sponge for lack of a better description, in that she desires knowledge as well as body parts and absorbs information with incredible endurance. Her favourite teacher is Helen Justineau (Gemma Arterton), a sort of Miss Honey figure who brightens up their bleak bunker home inhabited otherwise by those who refer to the children as “abortions” and treat them with contempt bred, perhaps understandably, from wariness. This attitude prevails throughout the film to varying degrees, some characters afraid but sympathetic, others driven solely by the scientific possibilities the zom-kids present. Dr. Caroline Caldwell (Glenn Close) is one of the latter, a medical professional who sees Melanie not as a human being but as a resource and a pathway to a potential cure. “They present as children, you know my opinion on that,” she insists. Emphasis on “present”. Close excels as a pseudo-antagonist, stirring intentions born out of necessity rather than anything particularly sinister. Caldwell only dons the antagonist role because Carey’s writing characterises Melanie not as a resource but as an innocent child, his characterisation authenticated by Nanua’s poise. We feel compelled to side with Melanie because we can relate to her kindness and her appearance. Caldwell feels compelled to do her duty as a scientist in an endangered world running out of scientific solutions, which isn’t evil per se. Whenever zombies are involved comparisons with The Walking Dead are inevitable, but whereas that show has adopted a broadly romanticised us-versus-them approach, this feels more arduous, moral implications blurrier. It’s interesting precisely because there is no clear answer. This world has seen the worst and now exists in a state of post-shock where terror no longer marinates. Now is the time for practicality, a mindset embodied by Caldwell: without hesitation she investigates the contents of a pram being pushed by a ‘hungry’ — an actual zombie, brainless — not put off by danger but rather spurred on by “gathering data, which is part of [her] mission statement”. Justineau, meanwhile, is clearly more concerned about the welfare of Melanie than her own, apparently consigned to whatever fate lies ahead. Arterton has the emotional burden to carry, her frequently exhausted expression not a consequence of physical exertion (she is more than capable in the field) but of her problematic attachment to Melanie. The piece hits some of the usual genre beats but does so with enough quality to sustain a level of intrigue. We’ve witnessed the basic premise play out in films such as 28 Days Later and World War Z and, just like in those films, military personnel have a hand in proceedings here. What separates The Girl with All the Gifts from the pack, though, is its almost subliminal tone of humour. It’s an understated lightheartedness that feels genuine in a broken society already acclimatised to its brokenness. At one point Melanie, having just fed on some animals, blood tattooed onto her face, jovially reveals she is no longer hungry and the others can only look on in a collective state of horrified discombobulation. Paddy Considine’s Sgt. Eddie Parks benefits most from the humorous touch, able to escape an incoming hard-man caricature and develop into a rounded figure. 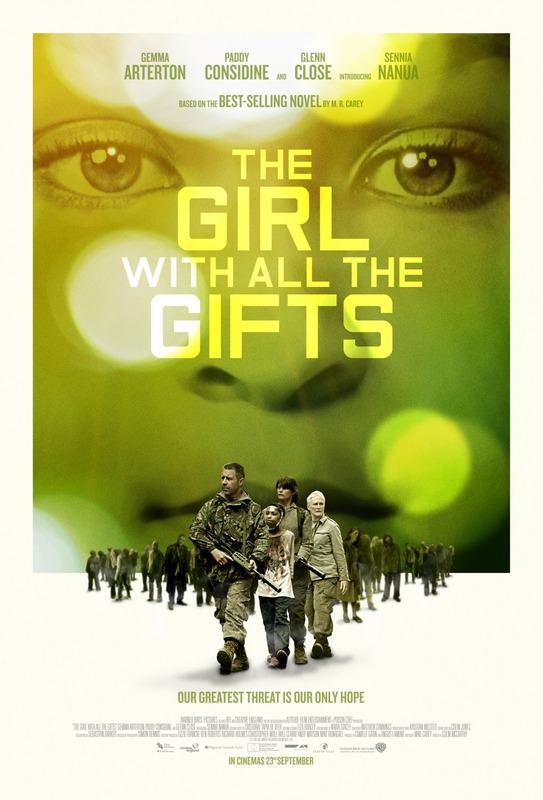 For those seeking the usual zombie fare, The Girl with All the Gifts has you covered. It’s as bloody and gory and gnarly as it is thought-provoking. Cristobal Tapia de Veer’s score spans the mood spectrum, incurring a feeling of discomfort with invasive brass entries. I was reminded of Shutter Island’s brooding soundtrack. With air raid sirens fulfilling the threat-based requirements, the sounds of trees swishing harmoniously and birds gently humming reflect the film’s thoughtful mantra. Nature, too, is character, sparse streets having been attacked by overgrown greenery, turning South East England into Pripyat, Ukraine. McCarthy’s film makes brilliant use of its £4 million production budget, and is well worth the price of admission. 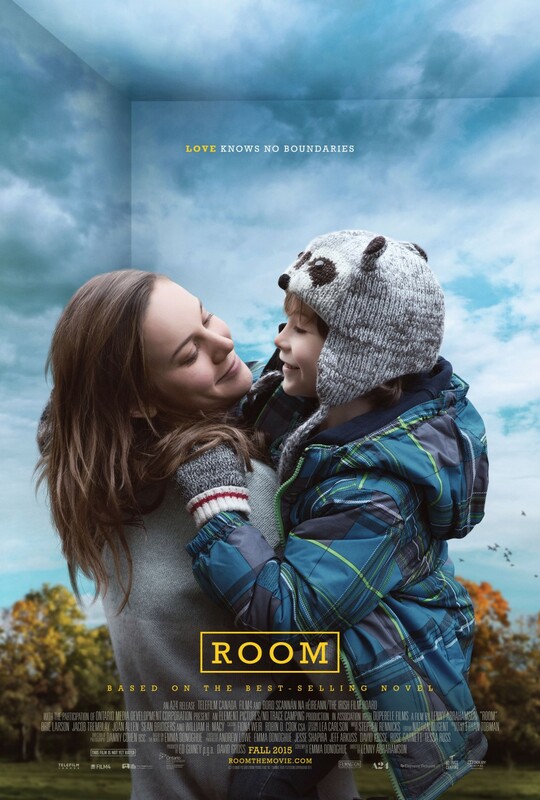 Room is a beautiful film. It’s heartbreaking and humorous and touching. It is fearless, it is personal, it is real. It’s also difficult to discuss without making reference to at least one crucial plot point. If you have seen the trailer, you’ll know which reveal I’m alluding to and will hopefully stick around for the subsequent discussion. Otherwise, it would be best to see the film without any prior knowledge and then revisit this review thereafter. Should you choose to do that, just know you are about to see one of the best movies of the year. It follows young mother Joy (Brie Larson) who has spent years trapped in a grimy shed alongside her son Jack (Jacob Tremblay). Jack only knows the shed, christened Room, having been born there. He believes Room is the whole world; she knows it is not. They survive on amenities provided by their captor Old Nick (Sean Bridger) and have a few other basic items such as a bath and a television. “TV persons are flat and made of colours,” Jack marvels, exemplifying his troubling lack of knowledge breadth. He also refers to the toilet as “Toilet” and the lamp as “Lamp”, these inanimate objects having taken on the role of living organisms. We feel part of Jack’s imagined landscape, its closed-in vastness, established through impeccable production design and crafty cinematography. Mouldy utensils bear foodstuffs that arrive via magic (since Jack is unaware of the outside world, he believes Old Nick’s existence is bred from some sort of sorcery) and stains flood the floor — a large mess near the bed is probably the spot Joy gave birth. Danny Cohen rarely, if ever, captures the entirety of Room in one shot, instead segmenting the area into various micro-locales (the bed, the wardrobe, the kitchen) and this gives off a false sense of capacity. However, when Room feels too falsely spacious, Cohen re-establishes its compactness by intimately honing in on Joy and Jack’s faces. Joy does everything in her power to shield Jack from Old Nick. Whereas she must grapple with daily pain, her son innocently sees light in abject darkness: “Ma, I’m a dragon,” he exclaims when a lack of powered heating grants him icy breath. Fairy tales have clearly influenced the youngster — Alice in Wonderland and the Biblical fable of Samson are invoked — and these stories take on an even grander meaning given the horrendously isolated context within which they are told. Like his previous film, Frank, this newest offering from Lenny Abrahamson champions the power of imagination; such interactions between mother and son offer fleeting moments of relief, further compounded by the duo’s genuine chemistry. For someone whose only other screen credit is Smurf’s 2, Jacob Tremblay carries a sense of timing that consistently threatens perfection. His actions reverberate with such authenticity, both in instances of thoughtful restraint and in outbursts brought on by his inability to understand his mother’s truth-telling. The young star’s facial performance is particularly strong: Tremblay is always present and never at all disconnected from the film’s envisioned reality. Hey, you ask for one endearing child performance and then two come along at once — Noah Wiseman is similarly effective in The Babadook, another mother-son tale spun via horror. There is also Ellar Coltrane’s turn in the early parts of Boyhood. So that’s three. 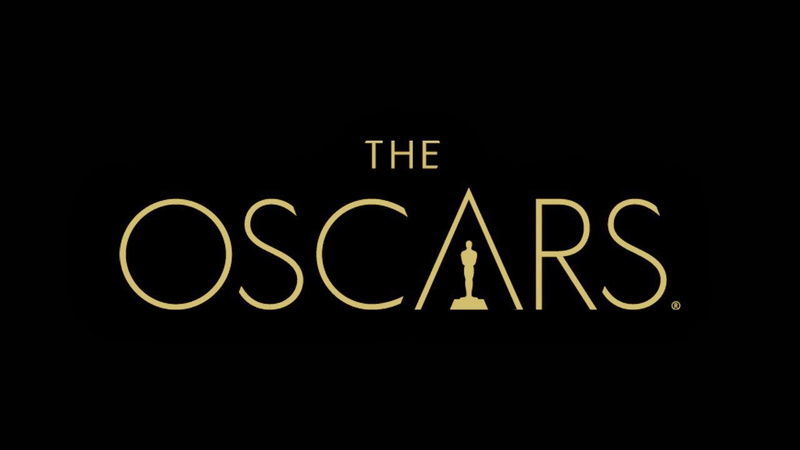 Though fun, awards are far from the definitive benchmarks of quality, therefore to speak of them in such terms is frivolous and, truthfully, a bit demeaning. But I would be doing honesty a disservice if I did not declare my readiness to anoint Brie Larson Best Actress by the 10-minute mark. You instantly see Joy’s exhaustion and feel as though you know her story. Larsen maintains a hunched posture and rolls her eyes with such desperation in the wake of Jack’s childish behaviour. Jack is unaware of the somewhat natural order his mother is trying to uphold (baking a birthday cake, exercising on a frequent basis), which only serves to stab at Joy’s sanity a pinch more. See, the natural order has been flipped and tortured. Jack’s safe haven is a dark wardrobe, a place we normally associate with childhood fear. Such complexity calls for a smart, concise screenplay and Emma Donoghue answers, exploring reality and surreality with magnificent poise. Given Donoghue has adapted her own novel, such a deep understanding is unsurprising. Her use of words is something to behold; Joy quickly corrects “room” to “space” when referring to Room’s lack of physical area — to Jack, the word “room” means the entire universe, an improper definition that completely undermines Joy’s point. Verbal unpackings such as this further fund Joy’s helplessness, but they also embolden her love for Jack. She is willing to adapt to surreality in spite of her mental anguish. We do get that exhilarating, terrifying escape sequence and it concludes with a powerfully moving embrace between mother and son, a moment of raw emotional discharge worthy, I think, of any motion picture. The aesthetic thereafter reflects Jack’s disorientation in his new world and Abrahamson takes almost as much time to acclimatise as his young protagonist: lights shine with a confusing haze; movements are jerky; noises are amplified beyond proportion. We patiently watch as Jack tests these new waters and, quite incredibly, it’s a delight: considering we are over halfway through by this point, to watch a character complete rudimentary tasks like walking downstairs and for the film to remain engaging is a testament to the Donoghue’s rich writing. Without expunging any more detail than necessary, a degree of darkness stalks mother and son into the real world. The film goes to a place that less assured outings would almost certainly have avoided and should be commended for doing so. It is worth noting Joan Allen’s beautifully delicate turn as Joy’s mother, Nancy, opposite Larson and Tremblay — there is so much to admire about Abrahamson’s piece but these central performances ultimately hold the key to its success. Forget saccharine, this is a film thoroughly teeming with earned emotion. 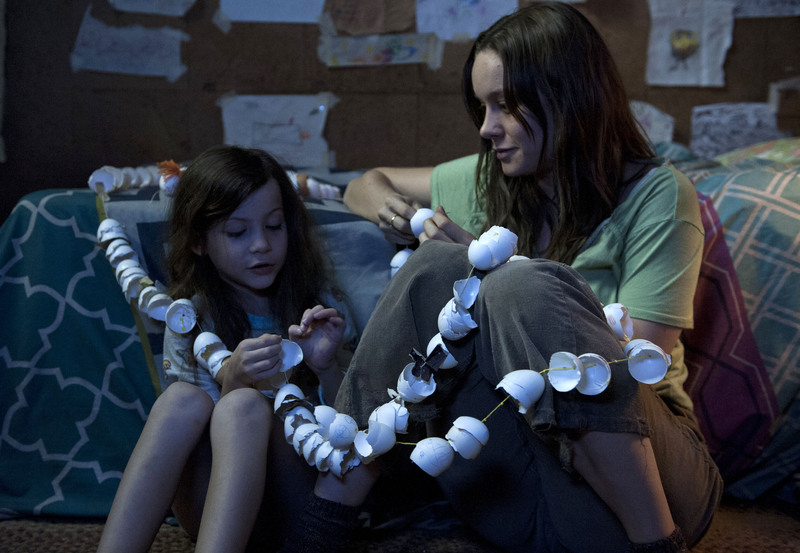 Room, at times, floored me.